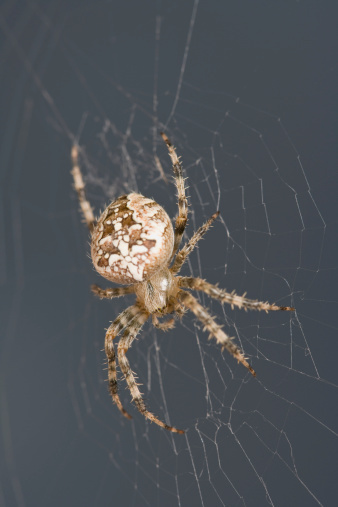 When you get ready to clean the exterior of your house, you may find an annoying presence on your siding: spiderwebs. 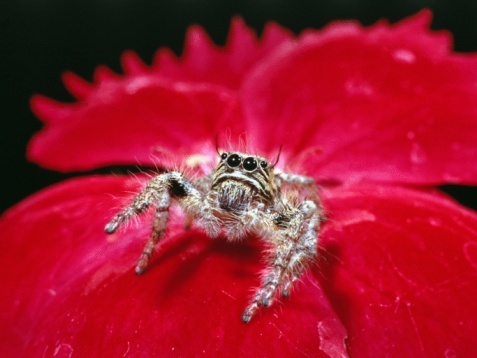 Spiders gravitate toward areas such as eaves and around windows and shutters. They build webs that collect dust, debris and insects. You can easily remove these webs in a way that won't harm your siding, and you can take preventative measures to reduce the amount of spiderwebs that accumulate on your house in the future. Sweep low-lying spiderwebs away with a broom. Spray a steady stream of water from a regular garden hose to remove webs that are out of reach (or those within reach if you prefer spraying to using a broom). Pressure-wash your entire house if you want the most effect way of removing webs and improving the appearance of your siding at the same time. Check areas such as eaves, windows and shutters to be sure you removed any remaining webs, as these are areas that seem to attract spiders the most. Spray around your house with an insecticide after performing spiderweb removal. Common liquid insecticides effective in repelling spiders are those containing pyrethroids, chlorpyrifos and diazinon. Keep grass and shrubbery near your house trimmed. Remove piles of wood, bricks or debris that may be close to your house. Caulk cracks in or around windows, doors and the foundation. Choose yellow exterior lights because they don't attract as many insects, which are spiders' food source. Also choose darker colored siding if possible because it also tends to attract fewer insects.